Today the Los Angeles officially hit a home run in free agency. 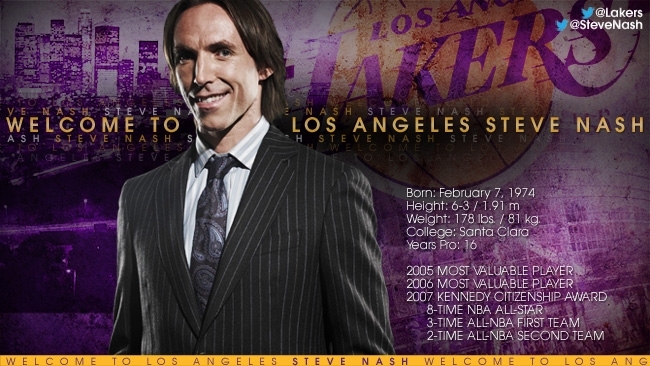 The 16-time NBA champions acquired 2 time MVP point guard, Steve Nash. After being bounced in the 2nd round of the playoffs 2 yrs in a row, the storied franchise knew they had to make a move. 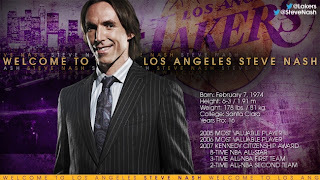 With all of the Dwight Howard rumors swirling about, the Lakers took a chance by calling their Western Conference rival, Phoenix Suns to see of Nash was available, and the rest is history. Kobe Bryant will get to play with a high powered point guard for the first time in his career, and honestly I think the Lakers just bought him another 3yrs of a career, possibly hanging it up after 20yrs of service, and at least 6 NBA championships. Check out the introductory video that Silo360 created.